The restaurant Sobrino de Botínis, located just off Madrid’s Plaza Mayor, claims to be the oldest restaurant in the world. I have not been there but have been fortunate to visit many restaurants around the world. I wish I had kept track of them all for the “favorites” database. There are a few dozen listed here. Most of them were enjoyable, but not all. I added ratings to the best of my recollection. Restaurants come and go, so the list is potentially outdated. I will preserve it for the sake of posterity. I might even add to the database if I get some time. Comments: Colorado Mountain House. Wood burning grill concept. Very special. Draws a large crowd. Comments: Chef Daniel Boulud has a great reputation. Service was excellent and food quite unique and delicious. Price performance not the best. Comments: Club-like ambiance with an elegant bar and lounge. Superb service. Comments: New Orleans flavor like French Quarter File (USDA Prime) Shrimp Etouffe, Seafood Bonavista, Jambalaya & Gumbo. Good jazz. Update May 2013: This restaurant is now closed. Comments: This was a very unique place. The food seemed to me like a blend of Mexican, Southwest, and Japanese. They have twelve restaurants in seven states. Comments: Great spot. Simple but beautiful decor. Friendly smiles and really great Dim Sum (my favorite). Thai dishes are very spicy too! Comments: Superb cuisine and service. Jean Le Bris offers a friendly smile and good recommendations. Comments: Very high price vs. quality. Unbearable rap music. Terrible service. Place: No. 194, Section 2, Xìnyì Road, Daan District Taipei City Tel: 02 2321 8928. 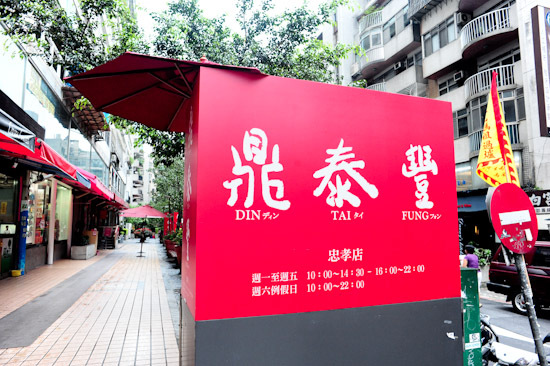 Go to the original branch located on Xinyi road at the corner of Yong Kang Street. Comments: Greatest steamed xiaolongbao on earth! Juicy, with flavorful fillings, and light thin dough. Comments: Creative regional cuisine using the freshest herbs, fruits, and vegetables of each season. Menu items feature the products of local farmers and purveyors. They believe use of local products helps to continue the tradition of small farming in the community. Comments: Great food and great service. The Pupu apppetizer platter is really good. Go for "very spicy" entrees. Comments: One of the best in every respect. Check out the web site. Update May 2013: This restaurant is now closed. The Wikipedia entry is here. Comments: Best salsa ever. Like all restaurants in Mexico City, the service was outstanding. Comments: Excellent Southwestern Food and a huge selection of Margueritas. Comments: Rustic inn. Excellent cuIsine. Good Westchester County location. Place: Grand Central Terminal East Balcony, New York, New York. Comments: Great service and great food and you can't beat the convenient location. A Charlie Palmer Restaurant. Comments: Superb Yucatan food, Tequila, and beer. Outstanding service.